When Meng Wanzhou, the chief financial officer of Huawei Technologies, was arrested in Canada on Dec. 1 through an extradition warrant from the United States, American media described in detail how the company had apparently conspired to evade U.S. sanctions on Iran. Huawei has long been involved in helping terrorist states and seemingly seeking to thwart U.S. sanctions. Meng is the daughter of Huawei’s founder, Ren Zhengfei. As details of Huawei’s complicity with Iran emerge, it is time to look back on the Clinton family and its close relationship with Huawei. 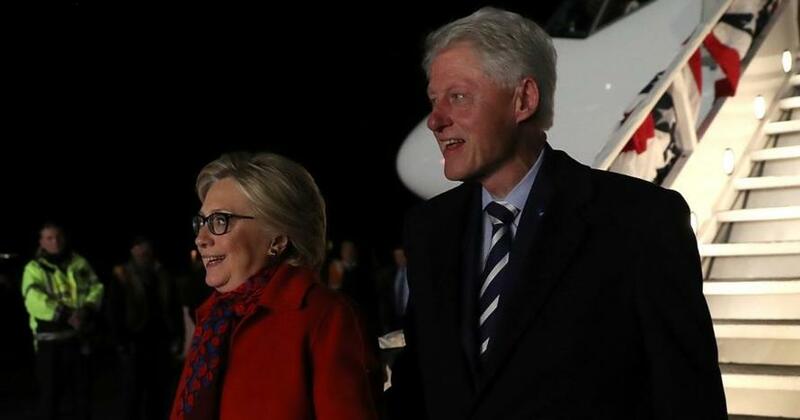 When their connection was first exposed more than a decade ago, it just seemed like another shady Clinton deal. But now, it becomes clear that Huawei has been central to the Iranian efforts to evade first U.N. and then U.S. sanctions. The Clintons were apparently conspiring with the enemy. Huawei has long been a bad actor in undermining U.S. foreign policy. The company has had a deep and long term relationship with the Clinton family. Huawei and the Clintons’ ties began when Terry McAuliffe, the Clintons’ top fundraiser and future governor of Virginia, bought a Chinese car company - GreenTech Automotive - and moved it to the U.S. in the hopes that it would produce electric cars. McAuliffe got Huawei to invest in GreenTech through a financing firm called Gulf Coast Funds Management, headed by Hillary’s brother, Tony Rodham. Gulf Coast, boasting the Rodham name, agreed to help Huawei get visas for its top executives under the EB-5 program, which awards visas to those who invest at least $500,000 in the U.S. to create jobs. The feds had already turned Huawei down because of its links to the Chinese military. It helped Saddam Hussein install fiber optic cables in violation of U.S. sanctions. It also helped the Taliban by installing a phone system in Kabul, Afghanistan. It stole proprietary material from U.S. high-tech company Cisco Systems. This material ended up in Chinese hands. In 2013, Huawei tried to sell telecom equipment made by Hewlett-Packard to Iran in defiance of sanctions. And, until a few weeks ago, the parent company of Huawei’s Iranian business partner was partly owned by the Islamic Revolutionary Guard Corps, which is playing the key role in Iran’s nuclear program. And, if their full role in the liaison with Huawei comes out, so will Bill and Hillary.